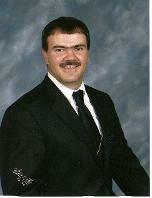 I greet you in the name of our Blessed Lord and Savior Jesus Christ as pastor of Cedar Ridge Freewill Baptist Church. I want to personally extend a cordial invitation to you to visit us anytime at God's house in the Cracker's Neck section of Big Stone Gap, Virginia. Whether you yearn to hear God's word preached and taught in its power and might, desire to attend a spirit-filled church, don't have a home church or are merely visiting the area please come visit us. We are a small community with a big heart for God and His way. If you long to hear anointed preaching and singing, love fellowshipping, and believe in altar prayer, you will be at home at our church. We are not ashamed of the gospel of Jesus Christ and we strive to praise God and put Him first in all things. Whether you're looking for a loving church, seeking to serve a risen Savior, or heartbroken and searching for answers...come to God's house...He has the answers! We at Cedar Ridge would love to have you join us as we seek, learn and grow in our spiritual walk with God through Jesus. At Cedar Ridge, we believe in the one, true, living God. We believe in the death, burial and resurrection of Jesus Christ -- there is only one way to God and this is through the shed blood of our Lord and Savior Jesus Christ. We believe the Bible is the true, inspired, infallible word of God and that Jesus is the son of God--God manifested in the flesh. The Church consists of all those who believe on the Lord Jesus Christ, are redeemed through His Blood, and are born again of the Holy Spirit. Christ is the Head of the Body, The Church. We serve God every day as we go through this life. Won't you please join with us in worship of Him this week? We love you and look forward to worshipping God with you in our next service! 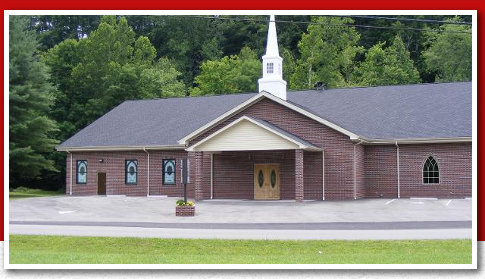 Take part and join the fellowship of our worship services at Cedar Ridge Freewill Baptist Church in the Cracker’s Neck section of Big Stone Gap, VA. We began as Durham’s Chapel in 1940. But, in 2006 we outgrew our old building and God ordained the expansion to our new church which was dedicated in May 2008. We welcome everyone who does not have a home church, wants to visit us, who yearns to hear God’s word preached and taught in its power and might, desires to attend a spirit-filled church, don’t have a home church or are merely visiting the area. We are a small community with a big heart for God and His way. Our Sunday worship services are Sunday morning at 11:00 am and Sunday evening at 6:00 pm. 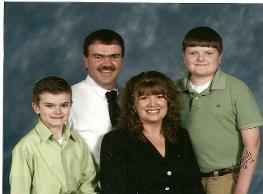 Cedar Ridge Freewill Baptist Church has Sunday School classes for all ages. Our teachers use the King James Version Bible and are called of God. Children are taught the plan of salvation, the way of God and take part and are included in our worship services. Cedar Ridge Freewill Baptist Church’s youth group, Messengers 4 Christ, meets on Sunday’s at 5:00 pm. Our youth are active in and fulfill a vital role in our church. They have a youth choir, do Easter and Christmas dramas, sing and play in the church choir, participate in worship services and Bible School, as well as go on trips specifically geared toward the youth. In addition, 5th Sunday mornings are open for youth-led services. Messengers 4 Christ are also in the process of completing their first music CD. It will be available soon. Cedar Ridge Freewill Baptist Church’s adult choir practice is on Sunday’s at 5:15 pm. Our church is abundantly blessed with musicians as well as singers, all of whom are spirit-filled and anointed of God. The church choir participates in worship services, community singing events, as well as special song services at Easter, Christmas and throughout the year. Paul Snodgrass is the choir director and Sheila Gabbert the pianist. We have a host of gifted and talented musicians and singers. 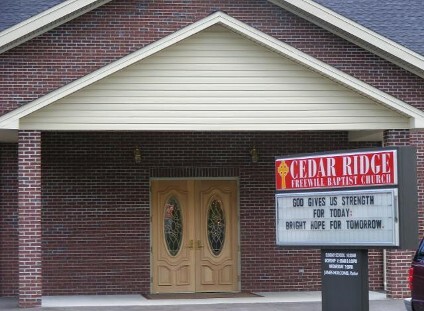 Cedar Ridge Freewill Baptist Church has prayer meeting and bible study on Wednesday evenings at 700 pm. Currently, we are studying the book of Revelation under the teaching of Pat Davis from Gate City, VA. The church has truly been blessed with Brother Pat’s insight and wisdom from God in this study. We are looking forward to the last chapters in this study and the coming of our Lord and Savior Jesus Christ. Prayer meetings are a time set aside for prayer requests, testimonies, sharing of God’s word and studies of specific topics of interest to the membership/congregation. We are begining a new email prayer request service. This will send an email to you whenever a prayer request is submitted. This way, we make sure that all of our Church Family will be notified of any emergencies, requests or notices that may otherwise be missed. If you would like to receive the prayer request emails, please send an email to subscribe@cedarridgefreewillbaptist.com. Prayer Request can be sent to prayer@cedarridgefreewillbaptist.com. New Events just announced. Please check the Events & Happenings page for more info! Begining Thursday, August 18th and every 3rd Thursday of each month, the church will be open at 7:00 pm. James will be available for private meetings, discussions, counceling or prayer. • We have a strong sense of family and a close–knit community. 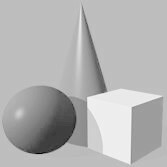 • We participate in community events and fundraising. • We take part in local church singing festivals. • We work with the local food banks and feed the community. • We have a large fellowship hall. Call our Baptist church at or stop by today to join our worship and fellowship.